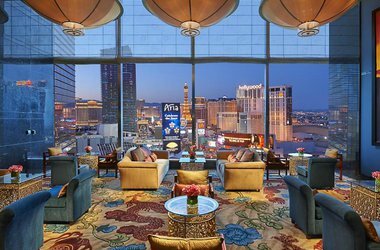 An intimate (for Vegas) hotel, with fewer than 400 rooms designed by Adam Tihany, many with impressive views of The Strip. There’s no casino (another Vegas rarity), which adds even more calm and sophistication to the surroundings. Of special note is the 1930s shanghai-themed spa and renown Parisian chef Pierre Gagnaire’s restaurant, Twist.